Seventh Avenue is a home furnishing and decor retailer based out of Monroe, Wisconsin, USA. 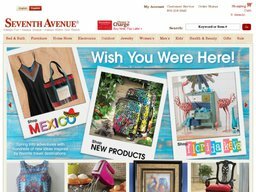 The privately held catalog company now does a large portion of its business online through the SeventhAvenue.com ecommerce site. Like many online stores they offer deals and discounts by issuing special Seventh Avenue coupons. We list all the latest codes here at Coupofy so you are sure to make savings whenever you decide to shop. Gary Schwager is the current President of the company which has over 1,000 employees throughout its chain of supply, and makes upwards of $500 million a year. It's warehouse is currently managed by parent company Colony Brands, Inc, at their facility, also in Monroe. Seventh Avenue prides itself on sourcing products not found anywhere else, and updates its inventory almost daily with new items. It does not currently have any physical retail outlets. Seventh Avenue traces its history back around 30 years as a mail order catalog company launched under what was then known as The Swiss Colony (now Colony Brands). Back then Colony was best known for its cheese and chocolate, but the introduction of Seventh Avenue in 1983 greatly expanded their product range and revenue. Initially the business focussed on furniture but then expanded in to home furnishings, decor, and all sorts of other everyday yet unique items. Seventh Avenue first went online in the year 2000 as a simple informational site for its catalog, however not long after they began accepting orders over the internet as well. This online store really took off in 2005 and is now one of the core revenue generators for the business, though unlike other catalogs they still have a strong customer base phoning and mailing in their orders. SeventhAvenue.com has compiled an inventory of thousands of different unique products over its 30 plus years in operation. The site is organized by the following main categories: Bed & Bath (bedding, furniture, accessories), Furniture (serving all areas of the home), Home Store (lighting, fireplaces, decor, rugs and carpets etc), Electronics (unique and unbranded MP3 players, cameras, gadgets, and phone/computer accessories), Outdoor, Jewelry, Women's Clothing, Men's Clothing, Health & Beauty products, Fitness equipment & gear, Gifts & Toys, and Sale items. If you're redeeming a discount Seventh Avenue coupon code, this can be applied to products in any of the above categories unless stated otherwise. You can also purchase gift certificates of between $15 and $500 so the recipient can choose their own items. All major credit and debit cards are accepted at the online store, including Visa, Mastercard, American Express, and Discover. You can also take out a credit account with them to buy now and pay later. To redeem Seventh Avenue coupons, simply paste the code in to the promo box, which you should see before the payment step. 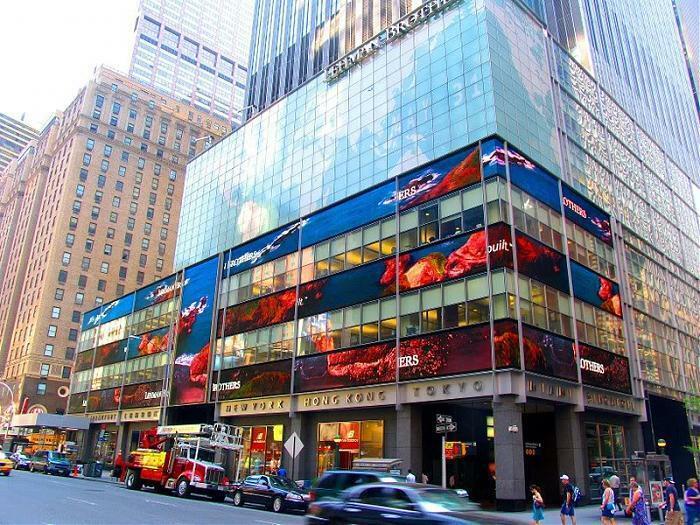 The Seventh Avenue online store caters to both US state and military customers. Pricing varies depending on the value of the order, but standard shipping within the 48 contiguous states starts at $5.95 for orders up to $15. Once the value exceeds $250 shipping costs 11% of the order total. Customers in Alaska, Puerto Rico, or APO and FPO addresses must add an extra $9.95 to the standard shipping costs. From time to time they will run a free shipping offer, which you can claim by using a special Seventh Avenue free shipping code. Vandaag is het zover! Opening Seventh Avenue Store Kinkerstraat 116, Amsterdam. Iedereen is welkom vanaf 12.30! Tot Straks! Hou facebook in de gaten, iedere week zullen wij nieuwe items online zetten! Tot in de Kinkerstraat! Gelegen aan de kinkerstraat 116, Amsterdam. Met natuurlijk ons eigen merk Seventh Avenue en iedere week nieuwe items van de laatste trends. Vanaf volgende week vrijdag (09-11-2012), kunnen wij met trots zeggen dat onze nieuwe winkel open gaat! !